Find San Diego 55+ communities sorted by cities and communities here. Whether you are searching for San Diego 55+ single story condos, 55+ single level detached homes, or manufactured homes in either land owned (also called resident owned communities) or perhaps leased San Diego 55+ communities – you will learn all about them at DreamWellHomes. We also provide you with exclusive San Diego 55+ video tours and a map of these San Diego 55 plus communities. For those looking for nearby Orange County 55 plus communities, please visit our Orange County 55+ Overview Page. Search the latest 55+ homes for sale in San Diego here – this will open a new window. Watch our exclusive video tours of San Diego 55 plus communities. We can help you find the best places to retire in San Diego and where to retire in San Diego County including single story homes or single level condos in other non-age restricted communities. There are over 50 voice narrated videos of San Diego 55+ communities to watch in this playlist produced entirely by Jean and Ken at DreamWellHomes. Good news! There are new 55+ condos for sale in San Diego at Avante Del Sur ( a walkable San Diego 55 plus community). Please continue to use our DreamWellHomes website frequently and feel free to drive by these neighborhoods at your leisure. When you are ready to either buy or sell a home and would like to make an appointment, please text or call DreamWell Homes at 760-798-9024 or contact us here. This list of San Diego 55 and over communities are sorted from A-Z. Please click each 55+ community name to view listings for sale, photos, and videos. Sign up here or Property Email Alerts Please text or call 760-798-9024 to schedule an appointment in advance or email myteam@dreamwellhomes.com. As a guide to the list of San Diego 55 plus communities listed above, we noted the traditional built and land owned homes in green. The bold green ones are communities where you are likely to find newer and single level detached homes for sale. The 55+ communities in blue are manufactured homes and mobile homes for sale. The ones marked with red are to specifically call out land leased senior parks with mobile homes for sale. Please follow our 55 plus communities Facebook Page here for our latest 55+ videos and photos update! Many seniors ask questions about living or buying homes in San Diego 55+ communities on our Frequently Asked Questions (FAQ) section. Please be sure to visit our 55+ Frequently Asked Questions. To get direct answers for all your homeowner association (HOA) questions – Find the initial list of HOA contact information for San Diego 55 plus communities here. Which 55+ communities in San Diego offer many social activities? Ocean Hills Country Club in Oceanside is the top choice in North County San Diego active adult communities. If you would like to participate in social activities, join clubs, and make new friends with like-minded people, Ocean Hills is a great place to live in. Lear more about the most active retirement communities in San Diego here. You might also like Seven Oaks and Oaks North in Rancho Bernardo with traditional built detached homes and condos. Champagne Village in Escondido and Rancho Carlsbad in Carlsbad are also quite active and offer manufactured homes. Which 55+ communities in San Diego allow pets? Many of these 55 plus communities allow pets and are pet-friendly communities. There are dog friendly San Diego communities for seniors such as Auberge at Del Sur in San Diego, Ocean Hills Country Club in Oceanside, Oceana in Oceanside which have dog parks. Other pet-friendly senior communities in San Diego are located in Oaks North 55+ communities and Seven Oaks 55+ in Rancho Bernardo. There are a few with strict pet policy (i.e. no pets allowed at San Luis Rey in Oceanside; at Pilgrim Creek Estates seniors are allowed 1 pet less than 20 pounds and cannot walk them in the neighborhood). Where can you find 55 communities in San Diego where you own both the land and the home? Communities where you own both the home with the land included in some type of ownership are called resident owned communities. In resident owned communities, you typically pay monthly home owner association (HOA) fees anywhere from $0 to $500 or so per month- please click here for resident owned San Diego 55 communities information. The average is around $250 to $300 monthly in homeowner fees for resident owned 55 plus communities. Please also use the San Diego 55+ list above – as you can tell a majority come with land ownership and just a handful are land leased parks where typical space rents might be in the $500 to $2,000 per month. Are there new San Diego 55+ houses or new San Diego 55+ condos for sale? New San Diego 55+ condos both single level and two story with in-home elevators are available at Avante at Del Sur by Lennar (For Sale in 2018 priced around $700,000s) and Auberge Del Sur, San Diego California’s luxury 55+ community built in 2016. For other new 55+ homes in Southern California, check out Esencia Rancho Mission Viejo 55+ homes in Orange County. Besides Auberge and Avante Del Sur, the sort of newer senior retirement communities in San Diego with nice amenities and social activites are built in the 1970s-1990s such as Ocean Hills Country Club, Oaks North 55+ communities and Seven Oaks 55+ communities in Rancho Bernardo. Where are the San Diego 55 plus communities that are either walkable or located near shopping, grocery stores, dining, and even hospitals? Avante at Del Sur is San Diego’s new walkable 55 and over community with low maintenance condos and smart home features. Other walkable 55+ homes in San Diego are located in Lakeshore Gardens in Carlsbad since grocery stores, shopping, and dining spots are literally located across from the community. Park Encinitas is another walkable 55+ community that is near all major shopping, businesses, restauarants, and also near medical centers. Rancho Escondido is also another walkable 55+ community located near stores, dining, and the freeway entrance. The homes in Lake San Marcos are also near shopping, stores, and restaurants, including golf and many amenities within Lake San Marcos. 55+ Homes in Lake San Marcos can be found at Sun Park, Hunter Valley, and Chateau Lake San Marcos. Champagne Village in Escondido is within the Lawrence Welk area resort with shopping, theatre, restaurants, farmers market, and golf. Peacock Hills 55+ homes are walkable to a school and dining spots with nearby grocery stores and shopping. Find the best places to live in San Diego near walkable neighborhoods here. Avante Del Sur and Auberge Del Sur are within 2 miles of a Target store, Sprouts Produce Store, restaurants, and shopping. Ocean Hills Country Club is also near stores, groceries, and dining in the Shadowridge area of Vista. Just like Lake San Marcos homes, Las Brisas Pacificas, Palomar Estates West 55+ homes are also near shopping, stores, entertainment, and movie theaters. Note that you may use the radius search feature of our home search tool to find homes that are near locations you want for example, dining, shopping places, hospitals, university, or near your family. Which 55+ communities in San Diego are you likely to find houses or homes are within a few miles to the beach? Which San Diego 55 communities are walking distance to the beach/ ocean? Here are San Diego 55 communities that are within walking distance to the beach: Lakeshore Gardens, Solamar, and Mira Mar. Here are a few more 55 plus communities in Orange County within walking distance to the beach. Please be sure to sign up for property email alerts and our email newsletter Guide to Relocating and Retiring to San Diego (Perfect for those who are at least one year away from relocation or retirement). Since we focus entirely on senior friendly – and 55+ housing in San Diego, please contact us to buy at 760-798-9024 if you are buying or selling your 55+ home in San Diego. 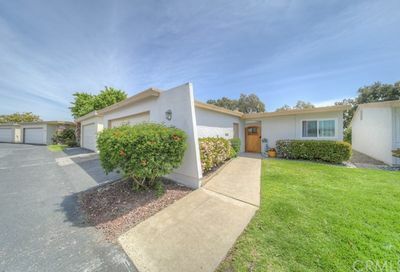 Homeowners in San Diego who are selling their 55+ home in San Diego should contact us to sell to be connected to a real estate agent specialist. Which cities in San Diego County have 55 & Over Communities? Please call and get connected to our senior real estate specialists at 760-798-9024 or fill out the 55+ interest list to receive more information and updates. Please feel free to fill out a form here to help you find the best places for retirement or active adult living in San Diego County and nearby areas in Southern California. We have so much information and insights to share with you! Please read our latest ebooks –FREE!